This large-format monograph (14″x14″) from Nazraeli Press features 42 colour plates and an essay by Gerry Badger. If one looks at Fraser’s inventory of things, one finds that some are natural, some man-made. Some are cheap and mass produced, others are lovingly man-made. Some are in use, some have been discarded. Some are new, some are old. Some have form, some are formless. In short, one could take each object and assign a Platonic value. Here is formless chaos, there a thing of value and so on. But Fraser is not looking to assign value, quite the opposite. Here, he is closer to the philosophy of Heraclitus, most widely known for his doctrine that ‘all flows’ (panta chorei). All things are in flux, and the formless will become form, and vice versa. Fraser rather, is seeking to challenge the notion of hierarchies, and look – in a metaphorical sense – for the underlying forces that bind all materials together. 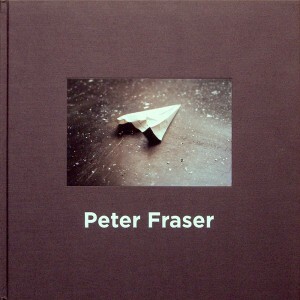 ‘Peter Fraser’, Nazraeli Press, USA, 2006; 64pp, 43 colour plates. ISBN 1590051440. Price: £40. Available from Claire de Rouen Books, The Photographers’ Gallery and elsewhere.